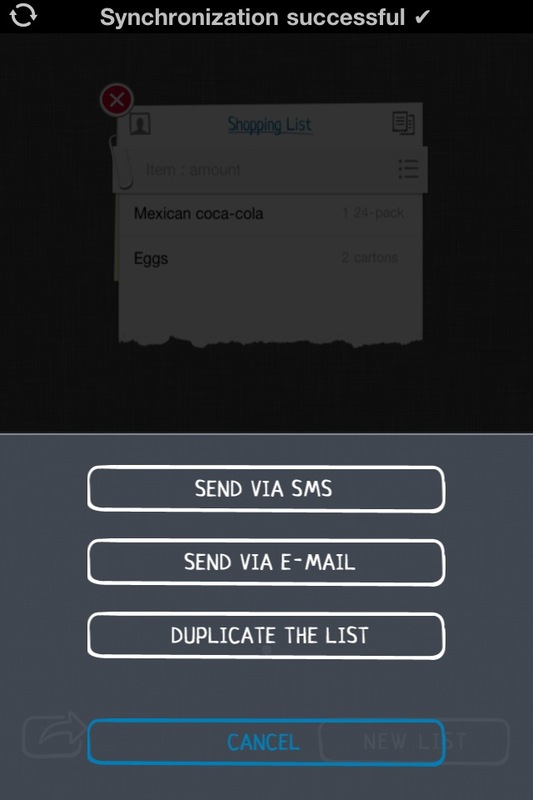 Share And Manage Your Shopping Lists Easily With Buy Me A Pie! Buy Me a Pie! 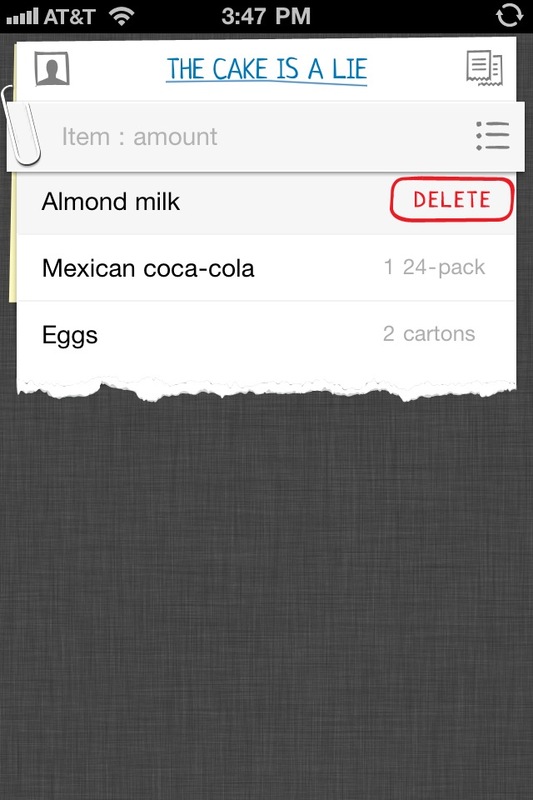 ($1.99) by Skript is a minimal yet beautiful grocery shopping app for your iPhone with cloud synchronization. First, you should love an app with such a humorous title. Rather than name it something boring, the developers at Skript named it something interesting, and definitely out of the norm. 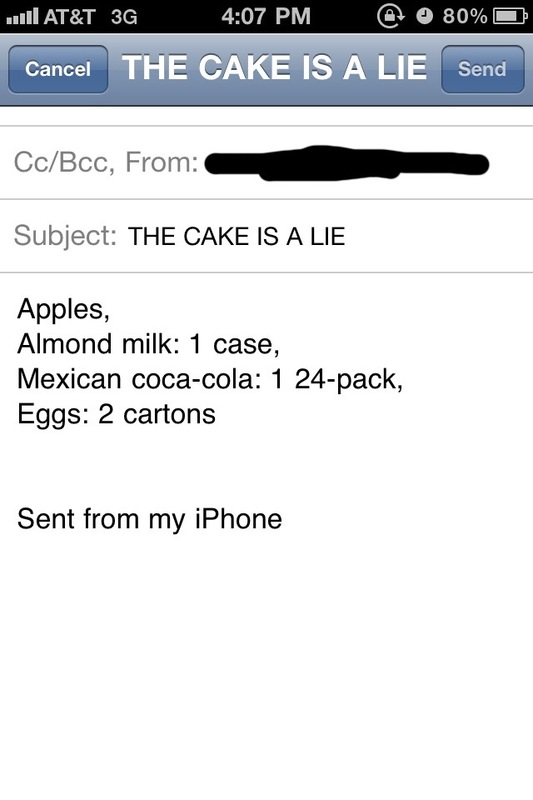 Though I prefer cake, thank you very much. Still, "Buy Me a Pie!" has a certain charm to it. 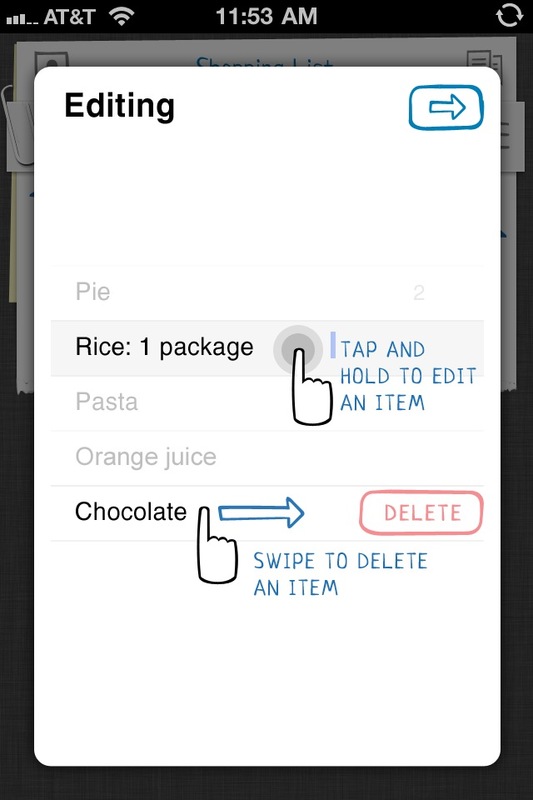 When you launch the app for the first time, you'll get a basic little tutorial to help you through the app. 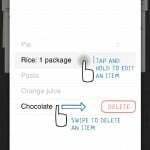 Nothing too complicated here, because this app is very simple, and aims to help you make shopping lists without any fuss. For one thing, I love the interface here. Your "shopping list" is represented by a torn white piece of paper, and the font used for the title of the list is rather cute. 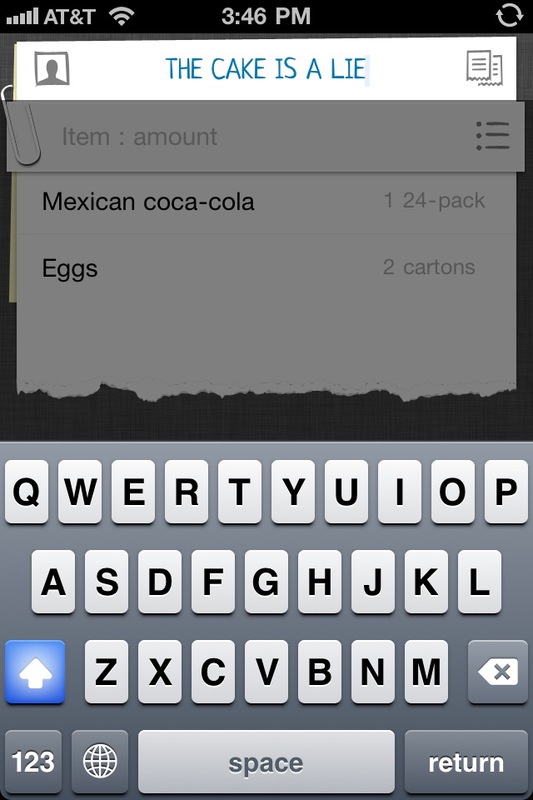 When you add items and have items in your list though, the font is Helvetica. 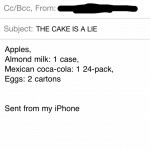 By default, your shopping lists are titled "Shopping List." These can be edited though, by a simple tap. 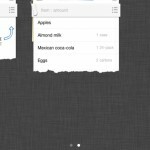 To start adding items to your list, just start typing away on the indicated space. 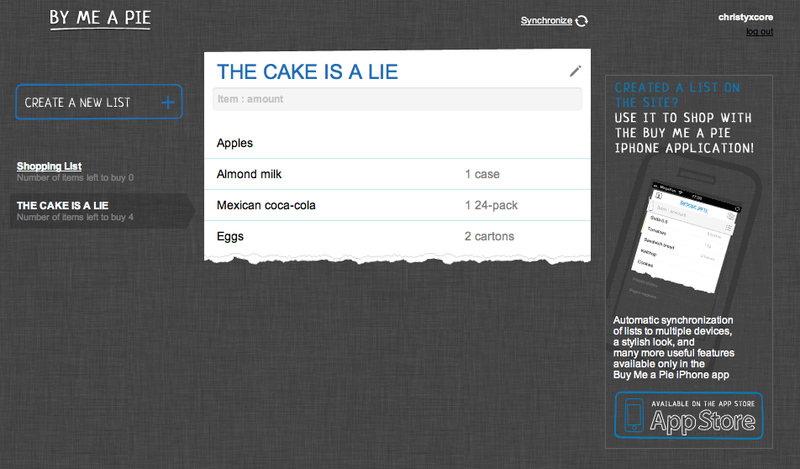 BMaP has a special syntax that allows you to enter in a quantity for your items. 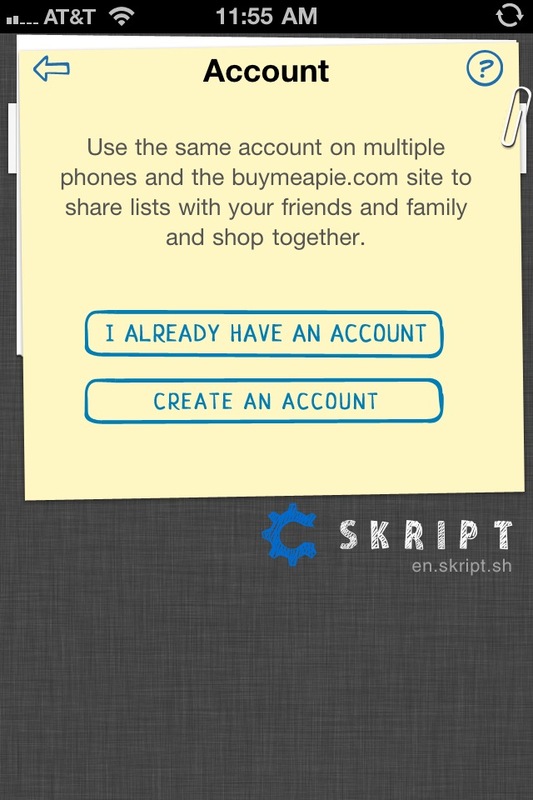 The syntax makes it so that you don't have to deal with scrolling wheels to enter in quantities like in other apps. For example, if I want to buy two cartons of eggs, I would simply enter in "Eggs: 2 cartons" and it will be entered in to the list with "Eggs" on the left hand side and the quantity on the right. 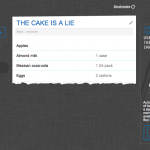 BMaP includes some predetermined items too, with basics like your simple grocery items. The only negative to this though, is that you can't assign a quantity to it like your own items. One thing I don't like dealing with are the scroll wheels in iOS, and with this neat little syntax, I don't have to. 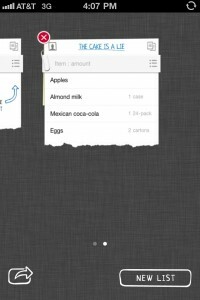 It's just plain simple English transcribed into a way that works for a shopping list app, kind of like what QuickCal does for calendar entry. When you obtain your item, you simply tap on the item to scratch it off the list. 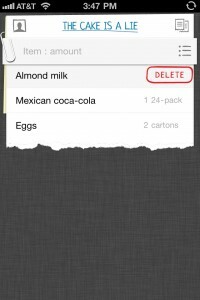 You can also swipe on an item to delete it. 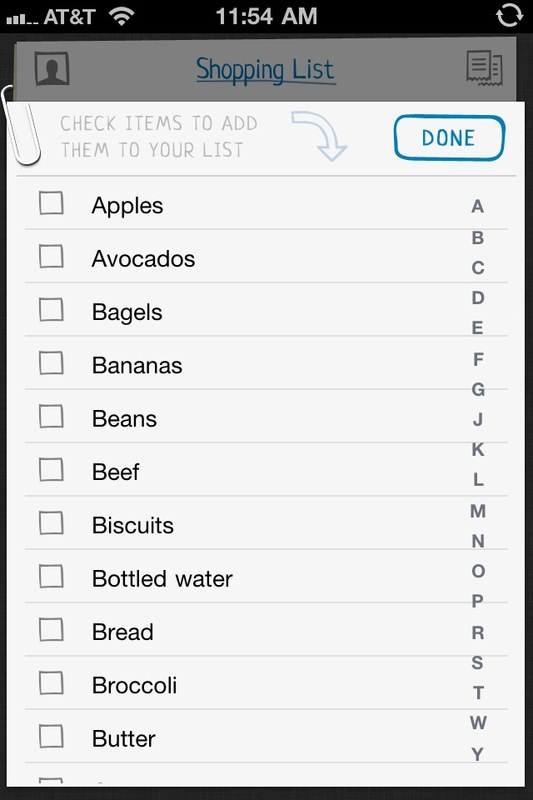 BMaP also supports multiple lists, which is great if you need various items for different things. 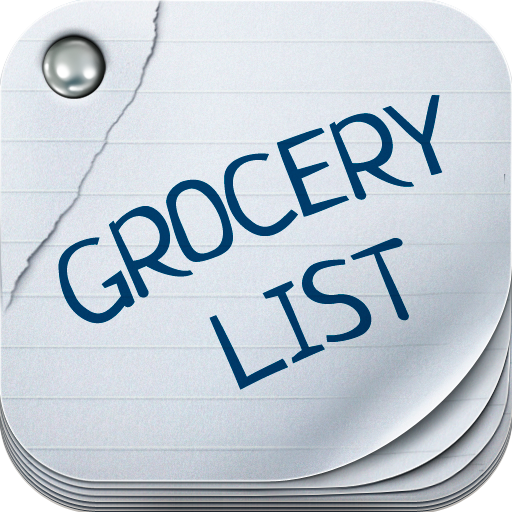 Make a shopping list for that dinner you're preparing that night, or make another one for the new kitchen appliances you're getting. The nice thing with BMaP is that there is cloud integration. For this, you will need to create an account and have a PIN number. 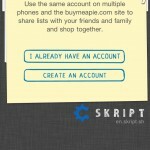 Then you will be able to access your shopping list on any web browser at buymeapie.com or on another device. 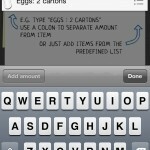 To share your shopping lists with others, simply share your account. 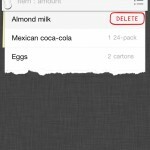 Notifications will be sent to your device whenever a shopping list is updated. Synchronization is automatic, fast and simple, and you're always informed of the status of the sync via the status bar at the top of the screen (when syncing, this will replace the device status bar briefly). 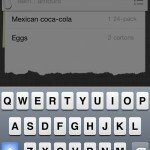 When you view all of your lists via the card-like view found in Mobile Safari, you can share a list with others. 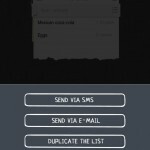 It can be sent via SMS or email. A list can even be duplicated. 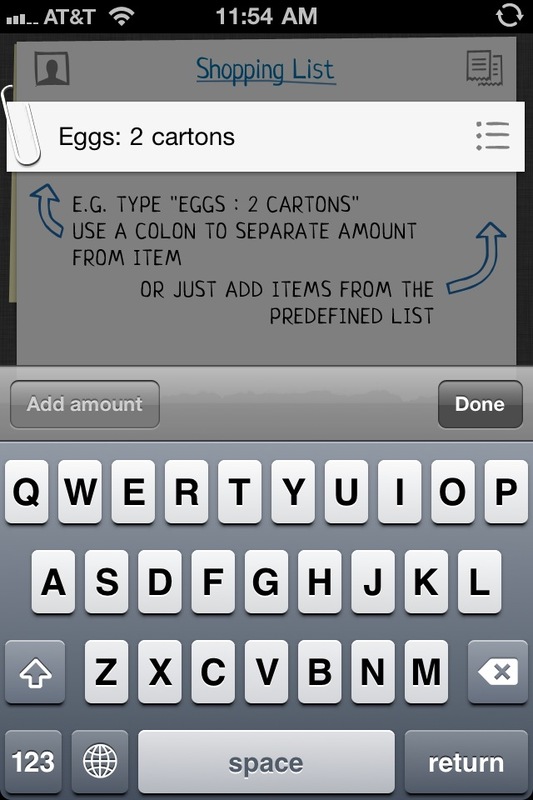 As you use the app, the items that you enter will be stored in the app's own dictionary for use in future lists. BMaP only has one setting option, which is accessed from the device Settings.app. 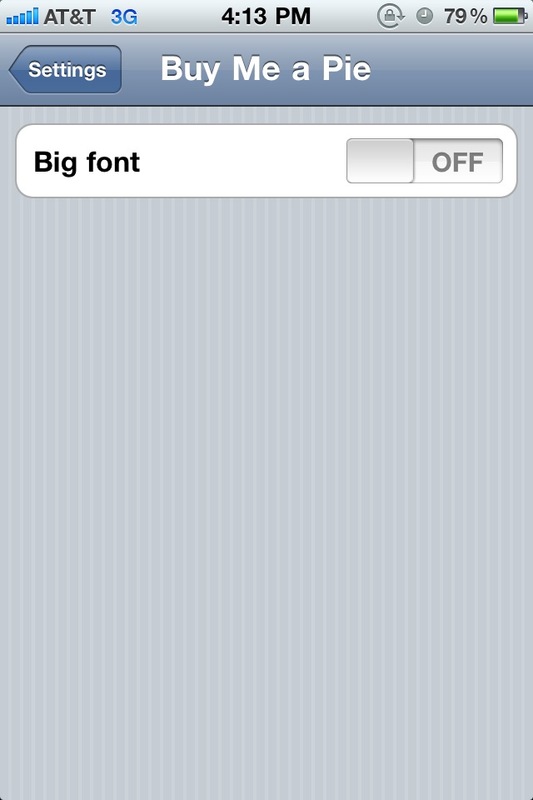 This is only to toggle "big fonts" though. 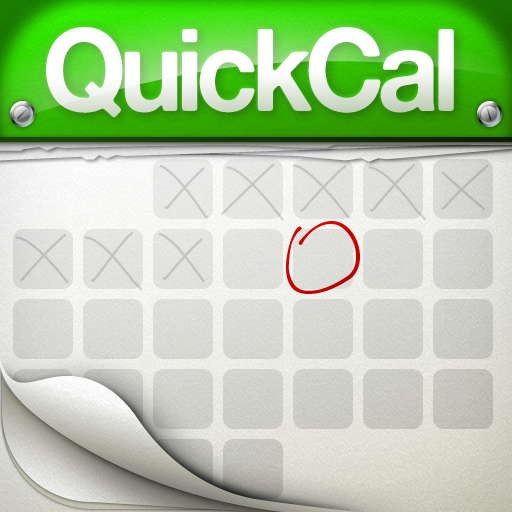 So unless you have trouble with the default font size of the app, you won't have a need for this. 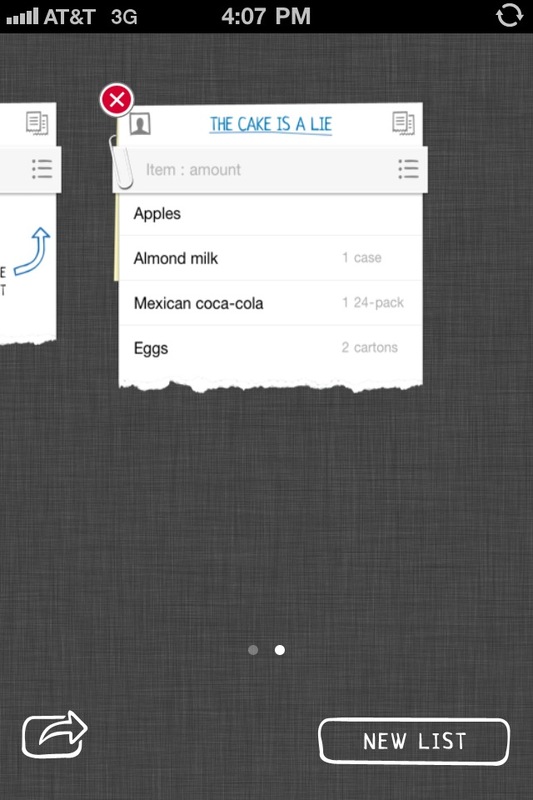 This is a simple and useful shopping list app. Some scenarios where this is extremely useful is if you are planning a big party with friends, or if you are at work and want to send your significant other to pick up some stuff to have ready when you get home. There are many more uses than this. The app's interface is beautiful and simple, and the sync makes it all worth it. 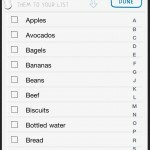 If you already have a shopping list app that works for you, then this may not be necessary. If you haven't decided on one just yet, or don't have one, then definitely give this one a shot. Plus, how can you not like that name? Ok, maybe you won't if you don't like apps telling you to go buy it a pie, or if you're a cake person. Maybe.